Grandmothers in the Indian subcontinent are obsessed with using gram flour for skin care. If you are an Indian, Pakistani or Bangladeshi, I am pretty sure that your granny has told you at least a few hundred times to use a gram flour face pack to get a ‘nice’ complexion and glow. (I see you nodding your head in agreement there!) Well, she was definitely right when she raved about this ingredient readily available on most kitchen shelves. Read on to know how this particular flour can help your skin and how you should use it. 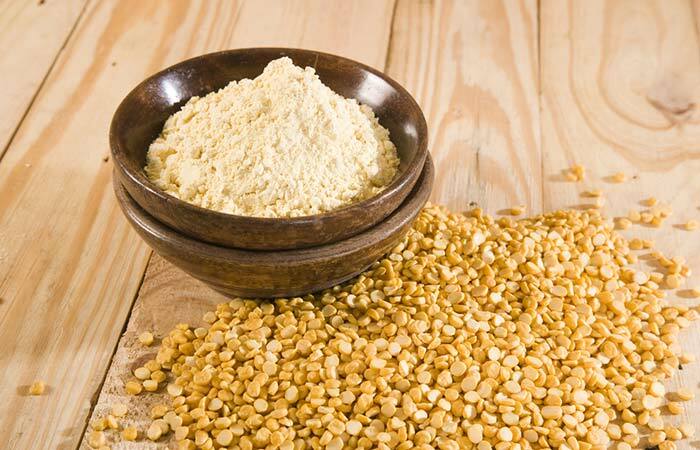 Gram flour has alkalizing properties and was traditionally used as a cleanser to maintain the pH of the skin (1). Besan is known to remove dirt and toxins from deep within (2). Besan helps to absorb and remove excess oil from the face, but it doesn’t dry out the skin (3). It regulates the moisture and keeps the skin supple. Besan helps to remove tan with its skin exfoliating and bleaching properties. This ensures that your skin is lighter, toned, and replenished (4, 5). It evens out the skin tone and gives the skin a radiant glow (6). It can also assist in the removal of unwanted hair. 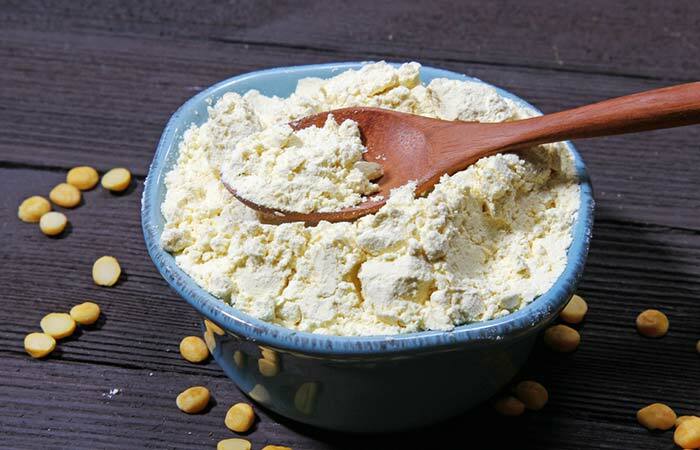 The best part about gram flour is that it works for all skin types, making it an ideal skin care agent. This ingredient can either be used by itself or with a host of other natural ingredients to work wonders for your skin. Take a look at how it can solve a whole lot of skin problems. Mix the two together to get a smooth paste. Apply on the face and let it sit for 10 minutes. 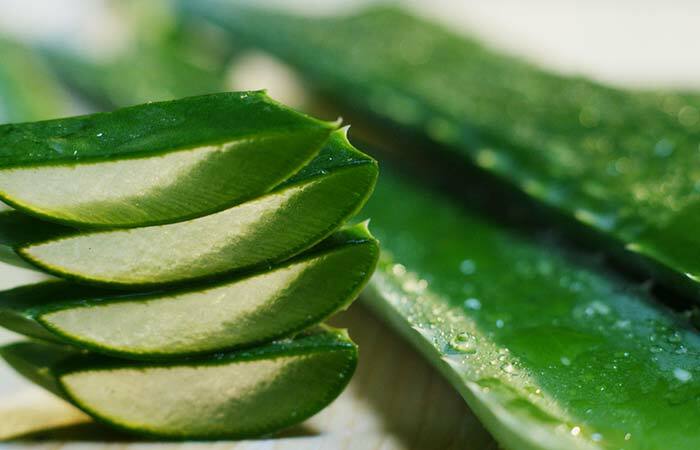 Aloe vera soothes and nourishes the skin. It contains a wide range of vitamins, minerals, polysaccharide, and antioxidants (7). Healthy, nourished, and supple skin is what you can easily get by adding aloe vera to your skin care routine. This face pack works well for removing sun tan, relieving sunburn, reducing dark spots, and hyperpigmentation. Add the turmeric powder to the besan and mix it in. Make a paste by adding some rose water to this. Apply this as an even layer on your skin and leave the pack to dry naturally. Rinse it off after 10-15 minutes. If you have extremely dry skin, add half a teaspoon of fresh cream to the face pack. Use this face pack to brighten up your complexion. Turmeric is a perfect ingredient to achieve this in combination with the gram flour. It has skin brightening properties. It is also antimicrobial in nature and can benefit people whose with acne prone skin (8). Then, add some rose water and mix thoroughly to get a smooth paste free of lumps. Apply this on the face and leave it on for 15 minutes. Reapply up to twice a week. 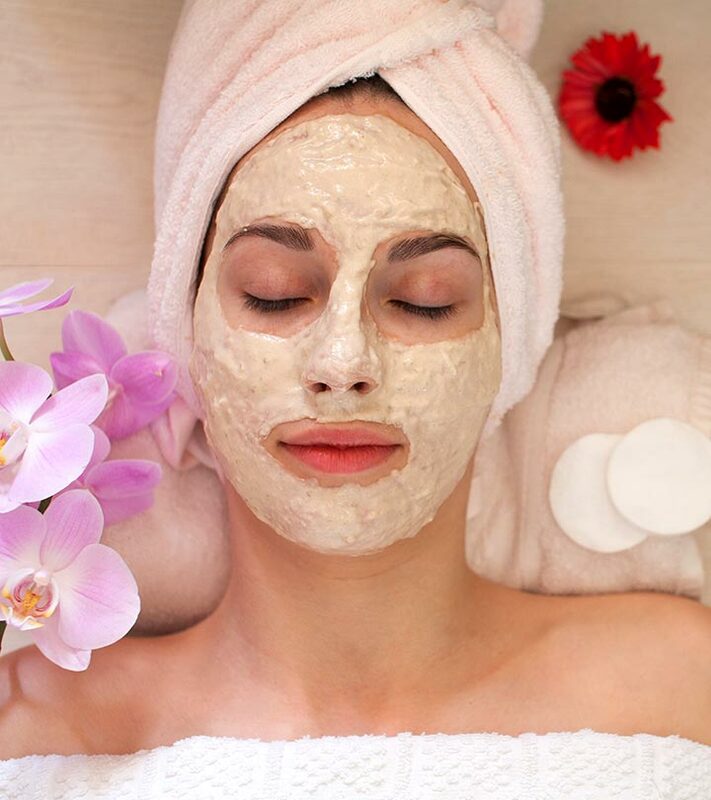 Multani mitti is a type of cosmetic clay that absorbs all the excess oil and impurities from the skin. It clarifies your pores and also has a cooling effect. It can also improve circulation to the skin’s surface (9). Blend the tomato and add this pulp to the besan. Mix well and apply as a face pack. Wash it off after 10-12 minutes. Adding tomato pulp to besan makes it a skin lightening and de-tanning face pack. The natural acids found in tomato act as bleaching agents and can lighten tan, dark spots, and hyperpigmented areas (10). Tomato pulp also helps to rebalance the skin’s pH and the associated natural sebum production. The vitamin C content of tomato proves beneficial to make the skin smoother and firmer by getting rid of wrinkles and fine lines (12). Mash the banana pieces thoroughly and add besan to it. Mix the besan in and add some rose water to adjust the consistency of the face pack. 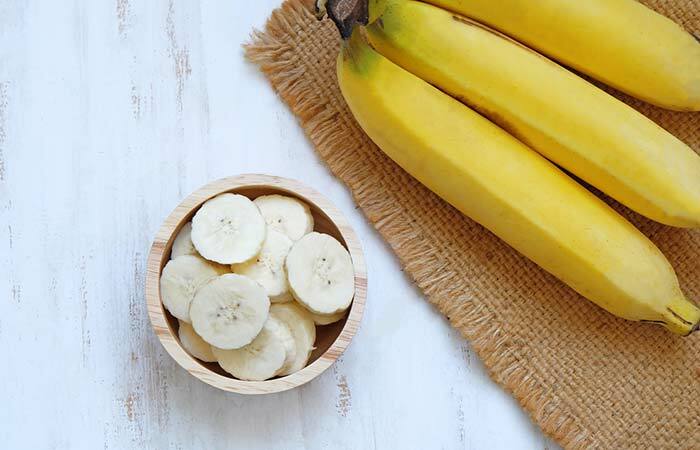 Banana is full of rich fats that deeply nourish the skin and moisturize it. It also minimizes scars and wrinkles by boosting the production of collagen and elastin (13). Mix yogurt with gram flour and get a smooth paste for the face pack. Apply on the face and keep it on for about 15 minutes. Yogurt is a wonderful cleanser and skin moisturizing agent because of the natural oils and enzymes present in it. Its lactic acid content also helps to exfoliate the dead skin cells and brighten up the complexion. The zinc found in it can clear up your zits (14). Zinc is often used in over-the-counter formulations for acne treatment. Beat the egg white until it becomes slightly fluffy. Add besan and honey to it, and mix well. Apply this on the skin and let it dry for 10-15 minutes. Do this once in every 4-5 days. 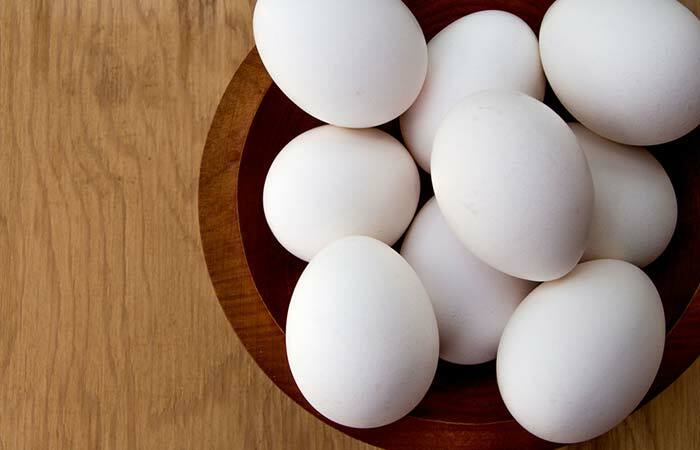 The enzymes present in egg white unclog and tighten the skin’s pores. This will, in turn, diminish fine lines and wrinkles (15). It also improves the process of rebuilding your skin cells. Your skin will feel firmer and radiant just after one application. Steep the green tea in hot water for a couple of minutes. Remove the tea bag and let the decoction cool down. Now, add this herbal tea to the gram flour until you get a paste of medium consistency. Apply on the face and let it dry for 15 minutes. Rinse it off with water and pat your skin dry. The antioxidants present in green tea are not only beneficial when you drink it, but also when applied topically. Direct application on the skin surface will help the antioxidants to repair the skin that has been damaged by oxidative stress (16). This will remove dullness and improve your skin’s health manifolds. Mix all the ingredients together. Make sure no lumps remain! Apply the pack on the face and leave it on for about 20 minutes. Wash off and pat dry. Follow up with a moisturizer. 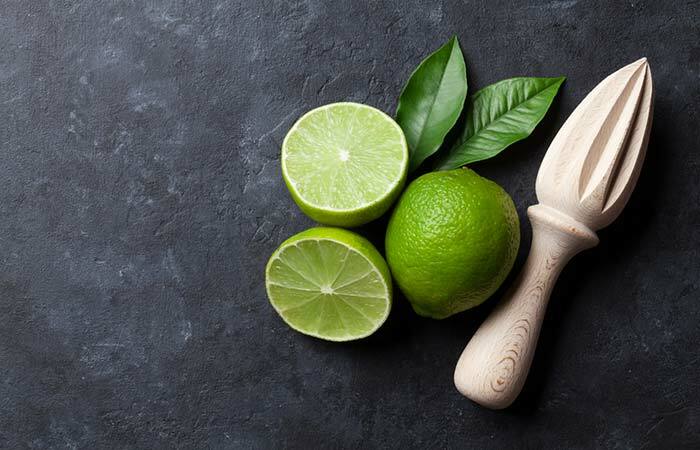 Both lime and lemon juice can work effectively towards lightening the skin tone as they are natural bleaching agents. Their vitamin C content helps to improve collagen formation and reduce oxidative damage as well (17). Use this face pack to brighten up the complexion, lighten dark spots and pigmentation, and also firm your skin. Add fresh orange juice to the besan powder and combine them. Apply this paste on the face and leave it on for 10-15 minutes. This face pack will leave your skin with a wonderful glow. Orange juice’s mild acids will exfoliate and tone your skin. It is a commonly used natural astringent. It contains vitamin C, just like lemon juice, that can make your skin firm and reduce pigmentation too (18, 19). 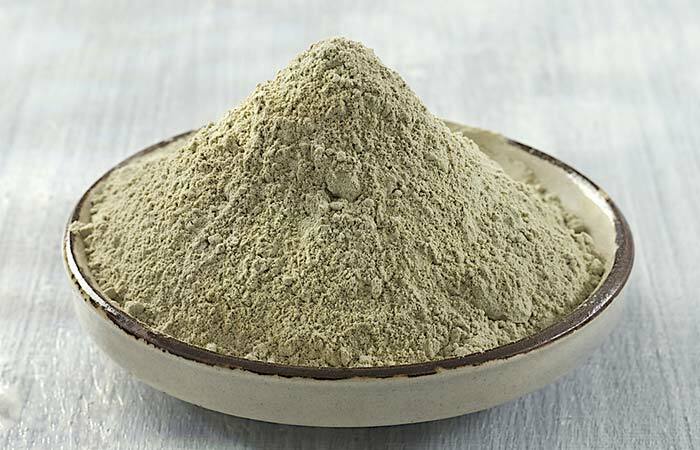 Mix the neem powder with besan thoroughly. Add yogurt to this and mix well. Adjust the consistency by adding some more yogurt or just plain water. Apply this and let it sit on the face until it dries, usually 10-15 minutes. 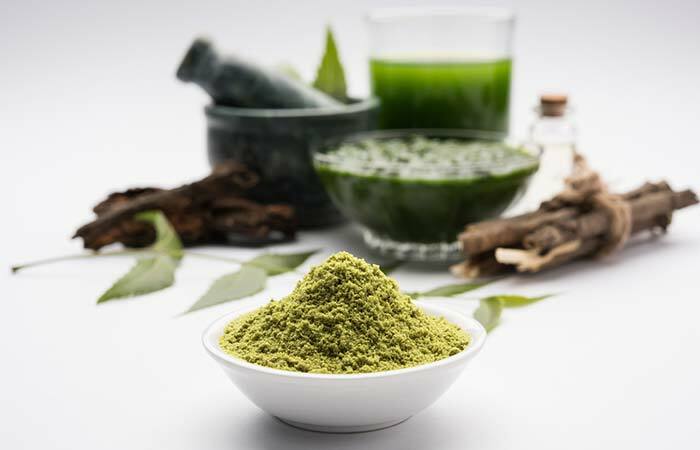 The antimicrobial properties of neem can clear up the acne infection on your skin effectively. It also has anti-inflammatory properties that can reduce the swelling seen at the acne sites (20). If you are sensitive to dairy products, use rose water instead of yogurt to prepare the face pack. Combine all the ingredients together with some rose water. Apply this carefully on the face and let it dry for 15 minutes. Oatmeal can thoroughly cleanse your skin and get rid of all the dirt, grime, and impurities. While the cleansing action is underway, it soothes the skin and moisturizes it (21). Mash the papaya and then add besan to it. Mix them together. Add some rose water if required. Apply this once every week. 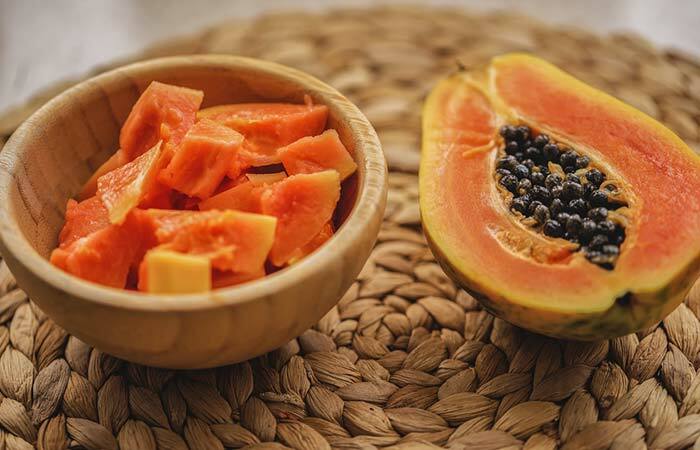 Papaya’s enzymes exfoliate the skin and remove the accumulated dead cells. This leaves the skin brighter and radiant (22). It can also unclog and shrink the skin’s pores (23). Use this remedy if you suffer from large pores and blackheads. Grate the potato and squeeze out some fresh juice from it. Add a tablespoon or so of this to the gram flour and mix well. Apply this paste on the facial skin. Let it dry for about 15 minutes and then rinse it off. Do this 2-3 times in a week. This is an excellent face pack for skin brightening and lightening. The natural bleaching properties of potato juice remove tan and lighten pigmented areas of the skin (24). It is also an emollient and an analgesic. These properties can help treat dry patches and skin redness (25). Firstly, add the baking soda powder to the water and mix well. To the gram flour, add turmeric powder and enough of this baking soda water to get a face pack consistency. Apply this on the entire face or affected areas. 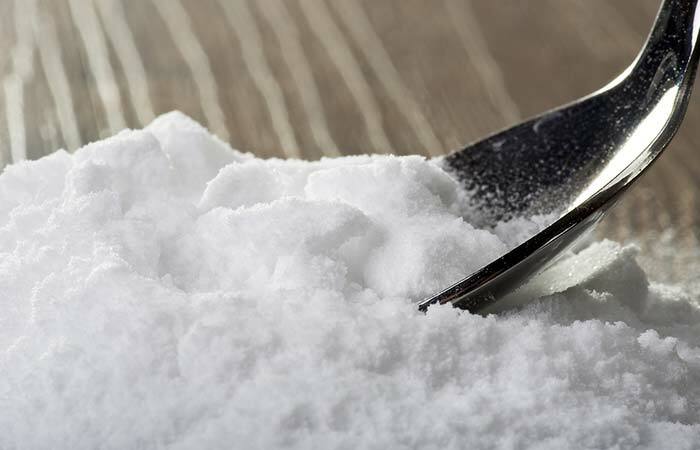 The astringent and pH neutralizing properties of baking soda help to bring down the excess sebum being produced by the skin. The bacteria causing acne are also killed because of baking soda’s antimicrobial effect (26). Mix the besan (gram flour) and the rose water until it becomes a smooth paste. Apply it on your face and neck. Let it dry for about 20 minutes. Wash with cool water in circular motions. Pat your skin dry and apply a moisturizer. Rose water is a great toner, and refreshes the skin (27). The combination of rose water with besan nourishes your skin and restores its oil balance. Your skin will look bright and full of life after a few applications. Mix the besan with the milk to form a thick paste. Apply the paste on your skin and leave it on for about 20 minutes. Once the pack dries, wash it off with cold water. 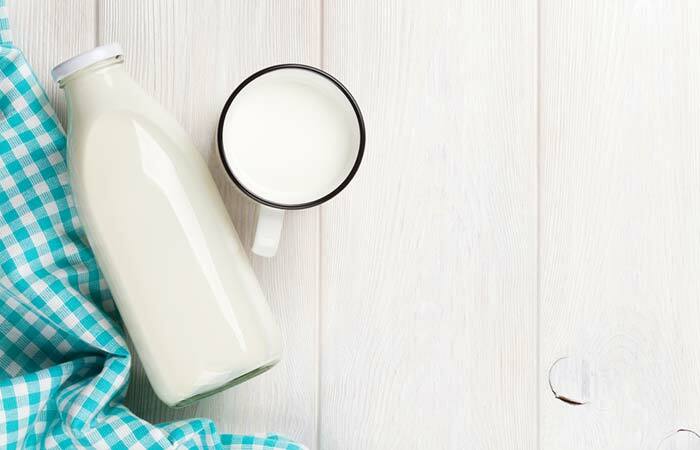 Milk is an age-old skin cleanser. It removes impurities from your skin and unclogs pores. It is also a natural emollient (28). Do not use this face pack if you are allergic to milk. Apply evenly all over the face. Gently massage your skin with it. Leave it on for about five minutes, and then wash it off with cool water. For best results, repeat this cleansing regime twice a week. Fresh cream (or malai) is a natural moisturizer that has been used since time immemorial. It hydrates and nourishes dry skin, and its results can be seen almost instantly (29). Turmeric works as an antiseptic and also maintains your skin’s pH. Honey moisturizes and heals the skin. Together, these ingredients will surely make your dry and lifeless skin glow. Warm the honey in a microwave for about 10 seconds. Make sure it does not get too hot. Mix the besan and honey, and apply it on your skin evenly. Allow the pack to dry and then wash it off with lukewarm water. Gently towel dry your skin. 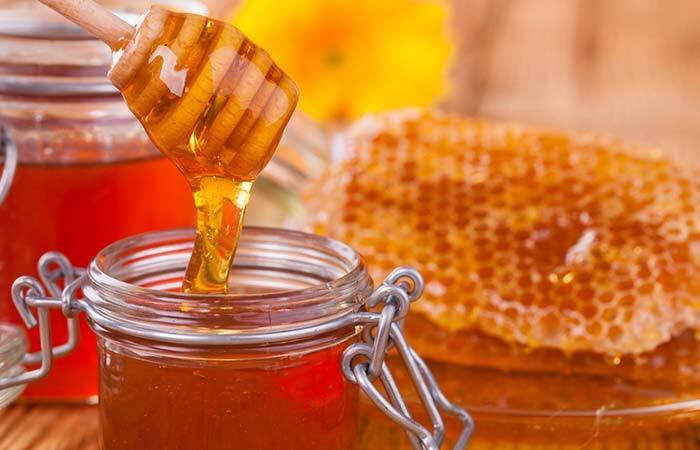 Honey has antibacterial properties that cure and dry out pimples with regular use. It cleanses and tones the skin, while soothing inflammation and moisturizing it too (30, 31). Apply the paste evenly on your skin and let it dry. Wash off the pack after about 20 minutes. We already know that rose water helps to cleanse and hydrate the skin, and soothes and cools the irritated skin. Turmeric is a natural healer that also contains antibacterial properties. Sandalwood purifies the blood and can hence treat pimples. It also lends the skin a wonderful glow (32). Be on guard while buying sandalwood powder. Not many brands sell authentic sandalwood powder, and using something that is not authentic will worsen the condition. Apply this smooth paste evenly across your skin. Keep the pack on for about 20 minutes and then wash off with cool water. 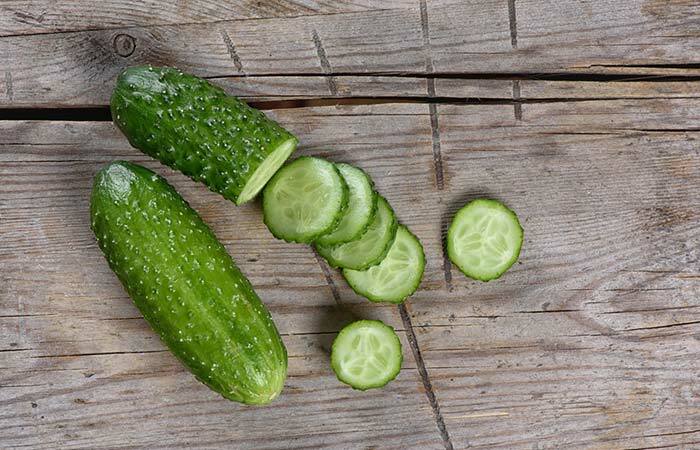 Cucumber has astringent properties that help in closing the pores. It also hydrates the skin and lightens marks, scars, and your complexion. It also works well to tighten the skin and reduce the appearance of wrinkles (33). This is an excellent face pack for treating blemishes at home. Grind the almonds and add this powder to the besan. Add the other ingredients and mix all of them together to form a thick paste. Add more milk to the mixture if it seems too thick. Apply the paste evenly all over your face and neck, and leave it on for 15-20 minutes. Wash it off with cool water, and then pat dry your skin. A substitute for milk is rose water! Use the latter instead on a sensitive and acne-prone skin. Almond has the necessary vitamins and minerals that nourish and hydrate the skin. It is rich in vitamin E which is essential for a healthy skin. Almonds also rejuvenate and refresh the skin around the eyes. Its mild bleaching properties can help reduce dark circles and pigmentation (34). Mix the besan with some water to form a thick paste. Smear your face with this paste, and rub gently in circular motions for about 10 minutes. Use upward circular motions. If the pack starts to become dry, simply keep wetting your fingers and continue scrubbing. Once done, rinse it off with cool water. Pat your skin dry and apply a suitable moisturizer. This can also be used to scrub the entire body. All you need to do is take more quantity of besan. Add a few drops of your favorite body oil for a nourishing effect. Use this exfoliating face pack/scrub once in every 4-5 days. 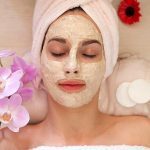 This is another age-old practice, wherein mothers used a mixture of besan and water on their daughters’ skin to lighten the skin and remove unwanted facial or body hair. Exfoliating your skin with this paste cleanses your skin and lightens your complexion while gently pulling out fine hair from their follicles. Some natural ingredients mentioned above might suit your skin, while some might not. If you have never used a particular ingredient before, it is best to do a patch test to check for allergic reactions before you smear your face with the pack. It’s always better to be safe than sorry! 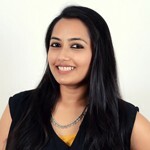 Another point to be kept in mind is the usage of recommended face packs to treat acne. It is critical that you consult a dermatologist before you treat skin issues like acne at home. Without proper investigation, you might end up aggravating the problem. We have given you a plethora of options to choose from for a besan face pack. Pick the ones that suit your skin type and issue the best. They contain simple ingredients that combine with each other and help you get rid of your skin issues in no time. Using besan in the right way in accordance with your skin type will make it healthy and glowing. Try these besan face packs, now! Grandma is always right! Well, almost always!